William Petty, 2nd Earl of Shelburne, and from 1784 1st Marquess of Lansdowne, was born in Dublin on 2 May 1737 to a Kerry landed family, the Fitzmaurices (his father changed the family name to Petty in 1751 on inheriting estates in High Wycombe, shortly before being created Earl of Shelburne in 1753). An unhappy Irish childhood was followed by study at Christ Church, Oxford and then military service. By 1760, having seen action in the Seven Years War (1756-63), he had risen to aide-de-camp to George III. In the same year he became MP for Wycombe, and was elected to the Irish Parliament the following year. In May 1761 Petty was elevated to the House of Lords in London as 2nd Baron Wycombe (and in Dublin as 2nd Earl of Shelburne), initially aligning himself with Lord Bute. He was appointed First Lord at the Board of Trade in 1763, but ambition and policy differences with colleagues provoked his resignation after only four months. Shelburne now aligned himself with William Pitt the Elder, with whom he agreed on the question of Britain’s increasingly difficult relations with its American colonies, and in 1766 he was appointed as one of Pitt’s Secretaries of State. Again, however, he clashed with colleagues – notably on Chancellor of the Exchequer Charles Townshend’s confrontational approach to the colonists – and with the King. 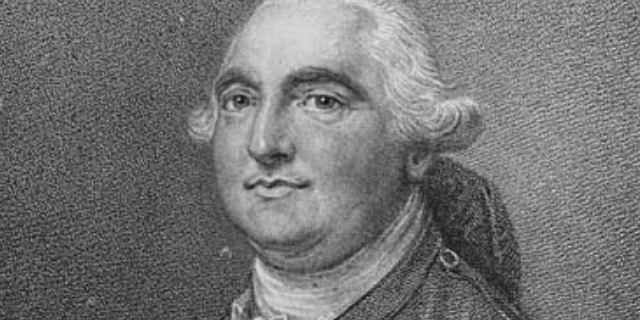 Shelburne followed Pitt into opposition in 1768, where he emerged as a prominent but independent figure alongside Rockingham, Grenville and during Lord North’s ministry. He continued to prefer conciliation to coercion in America, though his own oratory was often extremely combative (in 1780 he was wounded in a resulting duel with the MP William Fullarton). In domestic politics he found himself at odds with Rockingham’s Whig faction over his support for parliamentary reform and sympathy for the anti-Catholic Gordon riots of 1780. The fact that Shelburne still hoped to retain America as a colony, however, ensured that when North resigned the premiership in March 1782 he was George III’s preferred candidate, but it was Rockingham who emerged as Prime Minister with Shelburne once more a secretary of state. A brief troubled ministry ended with Rockingham’s death, and Shelburne took over as Prime Minister for just eight months (for only three of which Parliament was in session). It was nonetheless notable: not only did it introduce William Pitt the Younger to high office as Chancellor of the Exchequer, but Shelburne oversaw peace negotiations with the Americans, conceding independence, and displayed an ongoing commitment to ‘economical’ reform of the state apparatus. The famous parliamentary motion of 1780, that ‘the influence of the Crown has increased, is increasing, and ought to be diminished’, was the work of one of his protégés. Along with his support for freer trade and religious toleration, such reformist commitments marked him out among his near contemporary premiers, and paved the way for the Pittite tradition in British politics that shaped the next half century. However, Shelburne’s ministry swiftly disintegrated once Parliament met, and his characteristically clumsy dealings with colleagues accelerated a process which culminated in his resignation on 26 March 1783. The 45-year-old ex-premier remained active in Parliament for more than two decades, but not even Pitt, formerly his protégé, wished (or could afford to) offer him major office, especially after Lord Lansdowne (as Shelburne became in November 1784) proved conciliatory to the French revolutionaries and to domestic extra-parliamentary opposition. Lansdowne died in London on 7 May 1805. In office at the time of the Treaty of Paris which ended the American Revolutionary War/American War of Independence.